If you have recently found out you are pregnant, and you feel that you are not ready for the responsibility, trying to find an ideal outcome can seem hopeless. While numerous options are available for pregnant mothers, no other choice provides the same levels of happiness and satisfaction as adoption. It is important to remember that, while complex, the adoption process does help everyone involved. Birth mothers can take pride in knowing that their courageous choice helped to grow the family of loving adoptive parents, and the process helps to create the best life for your child. Putting your baby up for adoption can bring a wide range of feelings and concerns, which is why our adoption center is taking time today to highlight a few positive facts about this amazing process. A is 4 Adoption proudly works to facilitate the best matches between adoptive and biological families, helping both parties every step of the way to minimize the stress and uncertainty of this process. Read more to see just how amazing our private adoption services can be. If you’re interested in learning more about our complete birth mother support services, be sure to call us anytime! The adoption process up until the 1960s revolved around secrecy to keep families and their adopted infants safe from public scrutiny. Negative stigmas surrounding this dynamic led to a myriad of issues, including sealed medical records, secretive family origins, and more. Today, Americans are overwhelmingly accepting of domestic adoption, and many families are taking the steps required to raise an adoptive child as one of their own. According to POV.org, over 135,000 children are adopted annually in the United States. Facts from the Evan B. Donaldson Adoption Institute also found that more than 1.5 million children in the United States were adopted, equating to one out of every 50 children being adopted. One key advantage for children of adoption is that they are placed into a loving, stable home environment that was planned to enable the best upbringing possible. Studies show that domestic infant adoption results in a better situation overall for these children, as they are more likely to live in a two-parent home. This dynamic, at face value, is much more advantageous when compared to single-parent homes. Adopted children showed fewer signs of depression compared to children of single-parent homes. Adopted teens were also less likely to abuse drugs or commit crimes. Confidence and self-esteem were also found to be higher amongst adopted children compared to kids of single-parent homes. Adopted children scored higher on tests and examinations throughout their educational years, resulting in higher academic success. Statistics report that children in adoptive families are better off economically when compared to the general population. Our adoption center was founded after our owners went through the stress and uncertainty of today’s adoption process. Both pregnant mothers and adoptive families face a lot of challenges in navigating this system, leaving a large number of prospective parents waiting while a large number of babies remain waiting to go to a loving home. It can help you to know that 62 percent of adoptable children were placed with adoptive families within the first month of birth, providing the best situation for biological and adoptive parents alike. If you are pregnant and looking for answers, A is 4 Adoption is here to provide complete support every step of the way, working diligently to match you with a loving family that is perfect for your little one. Learn more about our help for birth mothers by calling today! Statistics over the years have shown that adopted infants display high levels of belonging and security within their family dynamic. These children also tend to display higher levels of success in academics, social competency, community involvement, and more. Adoptive parents report higher levels of satisfaction when allowed to communicate with the biological parents (Henney, Ayers-Lopex, McRoy & Crotevant, 2007). Biological parents who have contact with their chosen adoptive family report feeling less sadness, guilt, or grief compared to birth mothers that chose to have no contact (Henney, Ayers-Lopex, McRoy & Crotevant, 2007). 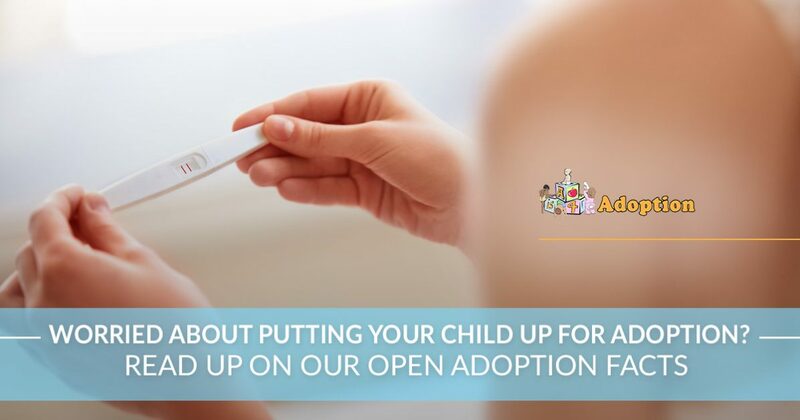 Modern technology and the beneficial relationships of open adoption enable more families than ever to talk with their child about their adoption. Whereas adopting a baby up through the 60s involved a lot of secrecy, our modern practices enable biological and adoptive parents to communicate with one another and share their updates, benefiting everyone involved. Your little one will most likely be curious about their origins, and today’s system allows for a positive way to explain (in terms they understand) why they were adopted and how it was done out of love. Today, the vast majority of these children know they are adopted. Most experts recommend divulging the truth early, typically between the ages of two and four. If you are considering putting your baby up for adoption, it’s important to know that our facilitators have highly qualified and stable adoptive families ready to speak with you to see if they are the right fit for your child. A is 4 Adoption is proud to provide domestic infant adoption services nationwide, and our center strives to exceed the standard set by any adoption agencies across California. We’re here and ready to help expecting mothers 24/7, so be sure to call us or contact us online today to learn about our complete support services!